Upstairs second story unit with detached garage. Vaulted ceilings create relaxing open environment. Clean feature-rich development with over-sized pool, cabana, exercise room, and clubhouse. 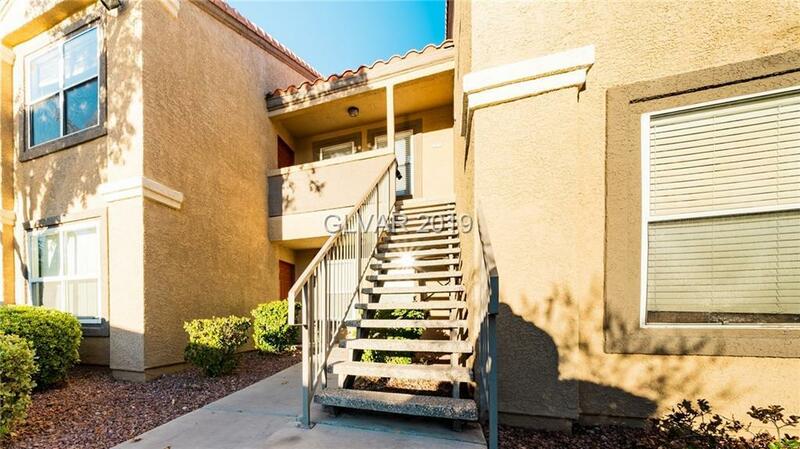 Quick and easy access to freeway, grocery and retail shopping, restaurants, and The Strip. Unique opportunity for investor or owner occupant. Directions: From Eastern And 215... South On Eastern Avenue, Right Onto Silverado Ranch Blvd, Right Into Community. Unit Is Located In The Far Southwest Corner Of The Community.